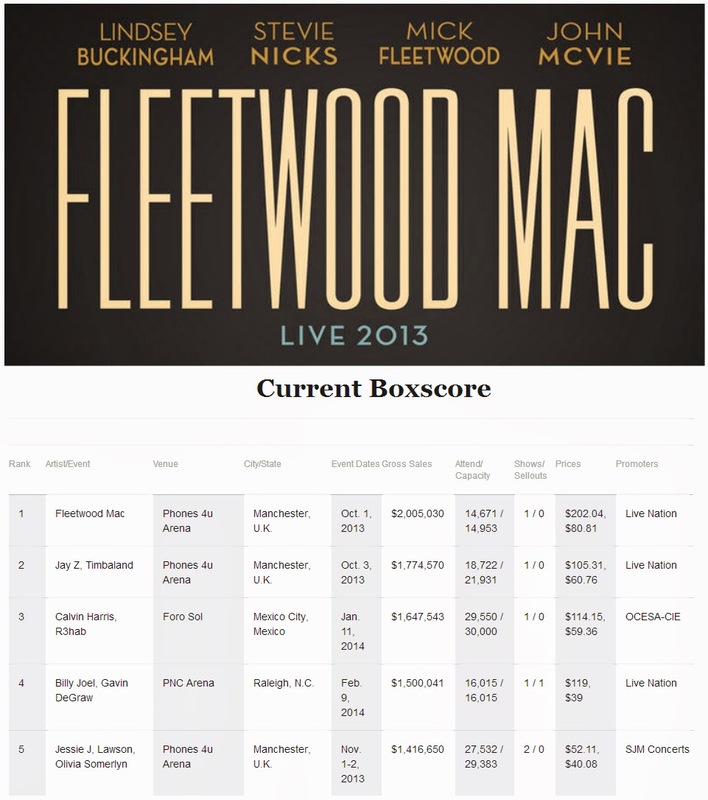 Fleetwood Mac's one night stand October 1, 2013 in Manchester, UK sits atop this week's Current Boxscore Top 130 listing of the top grossing shows reported to Billboard with gross ticket sales in excess of just over $2 million dollars. This puts Manchester in the lead as the single highest grossing show of the 2013 world tour - based on tour stats reported to Boxscore and Billboard. The only other city to gross higher (based on reported numbers) was London at $6.4 million, but that was for 3 nights. Impressive number for one show! that's because we were there! and worth every penny, Fantastic show glad I was there!